Here is the next round of Ice Cream Coupon Giveaway? The winning coupons for last weeks Ice Cream Coupon giveaway have been mailed or are just being mailed. So, if you were a winner, you should be expecting them shortly. And, if you are a ShopRite shopper, you will get them just in time for the ShopRite Gas Card Deal that starts on Sunday. Entry: Place a comment below and let us know which store you will use your ice cream coupons if you win. You must supply a valid email address. Email addresses should be put in the private field and not in the public comment box. All entries must be left in the comments of this site only. Facebook comments or emails will not count as a giveaway entry. The giveaway ends on Sunday, June 19th at 8pm EST. No entries will be counted after that time frame. Winners will be chosen at random. Winners will be notified within 72 hours of the giveaway ending via email. Winners must respond with mailing address within 36 hours or another winner will be chosen. Be sure to add (cindy.livesey@livingrichwithcoupons.com) to your contacts or check your spam folders at the end of the giveaway. A big thank you to Benee for the coupons. I would use my coupons at Shoprite! I would most likely use them at Shoprite. Perhaps some at Stop and Shop if there are good sales. LOVE ice cream! Would use them at ShopRite! I would use my coupons at Shoprite. Love my ice cream! I would use them at Shoprite! I would definitely use the coupons at Shoprite during next week’s gas promo! I would definitely use them at Shoprite! I would use them at Shoprite. Love ice cream so do the kids! Would most likely use coupons at shoprite. I’ll be using my coupons at Shoprite! Yummy.. I would most likely use them at Shoprite, however I have been going to Walmart too. I would use them at ShopRite or Walmart! I’m new to this couponing thing since I’m really trying to save some money now. This will definitely help me out in the future. I would use them at Shoprite or Giant! I would use the coupons at Stop & Shop…love a scoop of ice-cream any day! I would use my coupons at King Kullen since they double $1 coupons! I would use them at shoprite!! Thank you for a chance to win! I would probably use the coupons at Publix or Winn Dixie. Shoprite or maybe Weis, unless of course we get the gift of TRIPLE COUPONS at Pathmark (or anywhere else for that matter!!!) !!! Thanks again for all you do for your readers! Shoprite. I always shop there and we love ice cream! I would use my coupons at ShopRite. I would use them at Shoprite. I hope I win! I will use them at Pathmark or Stop n Shop! Thanks!! Shop Rite please ! definitely ShopRite. In desperate need of gas card. I would use my coupons at Kroger!!! I would use them at shoprite as well! I would most likely use the coupons at Shoprite! I’m a Shop Rite Shopper!!!! Wherever the sales ad takes me…live in a small area so it will have to be where the best sale is at, which will probably be Gerbes/Dillions. I would use my ice cream coupons at Shoprite. I would use them at Giant Eagle to earn more fuel perks! I would use my coupons at Shoprite!! They consistently have the best deals… Thank you, Cindy, for all that you do. You’ve helped me save hundreds of dollars over the last six months. King Kullen, it is the only store on long island that stilldoubles their coupons. I appreciate the savings they have brought to me and I want give them my business. I’d use them at Shoprite or StopnShop! I will use most of them at ShopRite. Possibly Stop & Shop, A&P, and PathMark, depending on the sales they run. Shop rite PLEASE! Or stop n shop! Ben & Jerry’s = a small slice of heaven! I would take my coupons to Shoprite too! They have a great selection. I would use my coupons at Kroger!!! Thanks for all you do! I would use my coupons @ Shop rite!! I would use my coupon at either Shoprite or Price Chopper!! I would use my coupons most likely at Shoprite, but in the rare occasion someone has a better deal…then I would use them there! No ShopRite near me, but I would certainly appreciate and use these coupons at my local Walgreens, Walmart or CVS!!! Thanks! Love Ben and Jerry’s and I love the prices at Shop Rite! Shop there all the time!!! I would use mine at Giant! I will be using them at Publix! hmmmm, unless it’s triples again at PM. Love love love ice cream! I would use mine at ShopRite. I live in PA so I would use them at Giant Eagle. I would most likely use at Shop Rite! I would most likely use them at Shoprite, or Walmart but let’s face it, wherever has the best sale that week! 🙂 Thanks!!!! I would use them at Shoprite for the upcoming Gas promotion! Thank you you are the BEST and this site is the most updated and efficient source of information….Thank you Cindy! I would use them at Tops in Western NY – wish I had a shoprite! I would use them at shoprite. That is my go to store for a majority of my grocery items and they have the best deals and customer service in my area. Well since I dont have a Shop Rite, it’ll have a to be Target or Walmart for me! I would use them at Shop Rite! I will use my coupons at Genaurdi’s!! My winning coupon would be used at Meijer. I would use it at Shoprite! I would use them at Shop Rite. Albertsons or Kroger’s…we don’t have a ShopRite. I would zip right over to Shoprite to use my icecream coupons and all my others. They have the best deals! If I havent said it plenty of times in my others posts, here I go again; thanks for all the wonderful tips, links, and help this site provides. Last night my hubby said he was very impressed with the items I have purchased and the money I saved getting them. He also likes the fact we are trying new products, many of which have fast become family favs! Thanks!! I would use them at Shop Rite!!! I would use my coupons at the commissary on our Army base here on Ft. Drum in NY. We go bannanas over chunky monkey! Shoprite is my store choice. I would use them at stop and shop and get extra gas points!!!! Thanks!!!! I would use them at Kroger when they have a good Ice Cream sale!!! I would use them at shoprite or pathmark. I would use it at Kroger !!!!!!!!!!! I would most likely use them at ShopRite. Ever since I have started couponing I have found myself making most of my trips to either ShopRite or Acme. I love your site! ShopRite all the way! I like that store and I love your blog for the great deals! I mainly use Shoprite for my grocery shopping so that is where I will use my Coupons for the ice cream. I would use the coupon at shoprite. My son loves Ben and jerry ice cream!! Would use the coupons at Shoprite! Kroger’s is my store of choice if I win — it will help me get more gas coupons! I would use my coupon at Target. Kroger is my store of choice — it will help me get more gas coupons! Defo use them at Shoprite!!!!! I would use my coupons at Giant or Walmart!!!! I will use the coupons at Shoprite. Unless Pathmark does triples again…. Shoprite is my store! Unless there is a sale elsewhere :0) Thanks so much! My 4 kids and I will be heading out to Giant Eagle. Kids sure do love ice cream. Love ice cream and coupons! Shoprite is our store. I’ll be using my coupons at Price Chopper!! Schools almost out and its time to start stocking up on all those yummy summer Items for my Daughter!!!! I will use the Q’s @ Miejer! Near me its 24hrs. Gotta Luv That. I will use my coupons at Shoprite! Shoprite all the way!! I find some of my best buys there!! I will use mine at walmart!!! I would use the coupons at Shop-Rite. I love love love ice cream! Pick me Pick me!!!!! I would use my coupons at Shoprite in Brooklawn, NJ…..love the store and the people are so nice!!! I would use them at Price Chopper or Walmart! I’d probably use it at waldbaums. Hi, probably ShopRite or my local ma & pa store. Kroger or Walmart!! Love ice cream coupons! I would use my coupons at either Shoprite or Kroger. Thanks! I would use them at Giant! I love ice cream! I would use them at Publix or Kroger (I shop at both, I like finding the best deals 🙂 , ). We don’t have shoprites . I would use mine at Walmart or Meijers. Pathmark all the way baby!! Shoprite if the coupon will double, and Walmart if it won’t! Target or Walmart.. That all we have here. !! I would use mine at Wal-mart UNLESS another store had a stackable coupon or BOGO!!! I LOOOVE coffee ice cream!! I don’t know if it will actually work like coffee but I like to pretend it does 😉 helps me feel a little better about devouring it. But…I’ll never turn down any kind 🙂 If I’m shopping with my daughter we’ll have to get her some strawberry or chocolate because those are her favorites!! Wow! Ice Cream & the summer what a great combo & then Coupons make it more delicious —- my coupon will go with me to Shop Rite. Choco Tacos have been a favorite of mine for as long as I can remember. I didn’t even know they had coupons.. win or not, this is very exciting news. I’ll be using my coupons at either Shoprite or Wawa. Not sure I can find Choco Tacos at Shoprite, but I’ll try just so I can double that coupon! id be using my coupons at walmart or walgreens since my shoprite doesnt care single serve ice creams! We do love ice cream at our house (maybe a little bit too much). I would use the coupons at Shop Rite which is where I do most of my shopping- Stop & Shop would have to have a great deal to pull me away. I will use my ice cream coupons at Shoprite. id be using my coupons at walmart or walgreens since my shoprite doesnt carry single serve ice creams! I would either use them at Shoprite or A&P who ever had the best choice. I would use them at my favorite store, Shoprite, woot woot! I would use it at Randalls. 🙂 Yum! Welll……while Shoprite is my choice of supermarkets, if I won, I would probably take those coupons to King Kullen…they DOUBLE $1.oo coupons!!!! mmm…i could taste ’em now…chocolate chip cookie dough….sprinkles…syrup…………..
Ice cream should be its own food group. You just gotta have it. There is nothing like ice cream on a hot summer day…or a sultry summer evening! We will be taking our ice cream coupon to Safeway if we win! Thanks for this great opportunity! my whole family screams for ice cream! i would use them at shoprite! My family loves ice cream! I will use them at Shoprite! Nothing like ice cream to help this pregnant woman satisfy her cravings!!! I have several stores that I shop at, so which ever of the following has a sale they will be used up! I shop at Target, HEB, Walgreens, CVS or Walmart! I will uses my coupons at Shoprite and my favorite store EVER…TARGET!!!! I shop at Stop & Shop. Yummy!! I will be using my coupon at shoprite! I always shop at Shoprite. Can’t wait for the big gas giveaway next week. Our house is never without ice cream and FREE is awesome! I would use it at Stop and Shop or Waldbaum’s. Love some ice cream! I do most of my shopping at ShopRite…they seem to have the best sales!! I <3 <3 <3 Ice Cream!! I would love to have an Ice Cream party for the kids in my Sunday school class. Well, our local Acme and Pathmark both closed, so I’ll be shopping at ShopRite. With my husband and five children, we go through a lot of ice cream all year but especially in the summer. My favorite stores are Giant and Acme. I scream, you scream , we all scream for ICE CREAM!!!!!! I will use mine at ShopRite. Why Shoprite of course! Mmmmmm icecream. Thanks so much! Living in rural ND, my best option is my local Wal-Mart store!! i love ice cream and so does my family!!!!! I would use mine at walmart or local grocery store. Yummy Ice Cream!! Will use these coupons at Shop Rite. My family loves ice cream! We would get ours from stop & shop! Could always eat some ice cream!! :) We shop at Kroger, Target, Meijer, or Walmart…Which ever store is having the sale that week. I would use my winning coupons at Shoprite. So excited about the $1 off Ben and Jerry’s coupons from this weeks Red Plum!!! Now just looking for a good sale to stack them with! Pick me! Pick me! I love ice cream! My favorite store with the best deals is Meijer. ShopRite is my place to shop!! Me too, me too, I will use my coupons at ShopRite. At Giant or Redner’s depends who has the better flavors! I will use your coupons at the base commissary or at Shop Rite! I like the Core ice creams but I don’t thinkthere is a flavor I don’t like! I will definitely be on my way to Shoprite if it comes! Love sorbet! (from Wegmans or Shop Rite). Just trued the Magnum last week, wow! So rich! chocalte and then caramel and then chocolate and then ice cream. Delicious. Going to Shoprite to get some more with these coupons! I wil be usng my @ Shoprite. Love, love ice cream . and with 2 growing boys always seem to be gone when Mom has a craving. I would use at shoprite! I LOVE ice cream I would use my coupon at Safeway! We love coupons and we love ice cream in our house! We shop at Shoprite in Cortlandt Manor, NY. We love both coupons and Ice Cream! They are a nice complement to each other. We shop at Shoprite in Cortlandt Manor, NY. My coupons always find their home at Shoprite! I’ll use them at Farm Fresh. Shoprite!!! Thanks, Cindy, for saving me so much money at Shoprite! I will use my coupons at Shoprite!! I will be hitting Shop Rite to stock up 🙂 My kids can’t get enough! I will use my coupons at Shoprite or Target! My son loves Mint Chocolate Chip but only if its the green kind! I would see where the best deal was for the product or shop at Shop Rite! I’ve been shopping at the same Shop Rite since I was 18! Thanks for the chance Cindy, love the site. Just in time for summer! Shop rite! I am dying to try the Magnum bars…..If I win I would use the coupons at Air Force Commissary! We’d use the coupons where ever they could be stacked with a sale for the lowest OOP. If no sales were available, we’d run to ShopRite – OF COURSE !!!!! this would be a great treat for my family this summer! Shop Rite if they have a great deal going on; otherwise our military commissary always has the best everyday prices. I would use my coupons at Kroger…I love my little neighborhood Kroger store and I really love ice cream!! I would use them at ShopRite! With three kids in my household, we have already eaten our way through all that cheap Turkey Hill ice cream from a few weeks back! Ill definitely use them at Shoprite unless acme has a better sale! off to shoprite if i win for klondikes,and ben&jerrys! I would use the coupons at Shop Rite. I LOVE your website!!! Thanks so much for helping my family save money!! I will use any of all of the ice cream coupons at my favorite SHOPRITE. It appears that everyone commented about SHOPRITE here but I actually trek a distance to go there (to avoid the many stores here) that only now only carry a limited selection with little variety to get to the S.R. THANKS!!! Thank you Cindy and Beene! I would use them at Shop Rite (my favorite store) but if someone else has a better deal……. Thank for your all your hard work!!! sorry i left this out — i will probably use at shoprite. i live around the corner from it and shop there 2x a week! This would be amazing. I just started couponing and I would die for some ice cream ones. Thanks for the giveaway. I will be using these at Rameys ( price cutter) or walmart. Depending on the prices. My boys are obsessed with ice cream!!! I REALLY need those coupons so I don’t go broke going to the ice cream parlor!!!! I will use them in Shop-Rite. Thanks Benee!! PICK ME! PICK ME!!!!! I would use them at ShopRite … or PathMark if they ever do triple coupons again! I love ice cream in the summertime! I usually shop at ShopRite. I also will be using them at shoprite or target if I win! Representing New England and Shaw’s! I will be using whichever store gives me the best deal with my coupons and I’m sure LRWC will tell which store that is!!! I would use these at Giant, unless Bottom Dollar has better prices! If I win the ice-cream coupons I will head directly to Publix – my favorite grocery store. Would def use them at Stop and Shop or Target! I would love to win these coupons and use them at Shop Rite!! My husband and mykids love to make sundaes, so they certainly would not go to waste! Fingers crossed! I will be stopping at Shoprite to use the coupons ! I’d most likely use the coupons at ShopRite…unless there’s a really good deal at Acme or Safeway! shoprite, unless I could get a better deal somewhere else. I’m going to try ShopRite! Everyone seems to be in their corner. A local Giant Foods store, they have some! I will be going to Shoprite! i would use my coupons at my local shoprite. they always have tons of ice cream in stock. they are very good at having every type of ice cream that every brand makes. awesome when you know what you want. awful when you stand there in awe and dont know which one to pick. I will shop at ShopRite. Thanks! pick me! pick me! it’s my birthday this weekend! yay! i’ll be using them at kroger’s since we don’t have shoprite. I would go to either Shop-Rite or Weis..I’m trying to save money & NOT run my air conditioning as much, so ice cream would be a great, cool treat!! Thanks..
Love this website – We are a family of fans of “Living Rich With Coupons”! Forgot to add that I will use my coupons at Shop Rite in New Jersey! I would most likely use the Ben&Jerrys Qs @ Wawa, only bc they have the biggest selection =] Klondike & Breyers @ Shoprite (I <3 SR), and Magnum @Target, unless our SR decides to pick it up. Thanks Cindy, for the BEST EVER savings/match-up/deals website…EVER!!! If I win, I would use the coupons wherever the best deals are. I do most of my shopping at Shoprite, Acme, and Target. Love to shop at my 24 hour Pathmark! Love the klondike bars…..and hubby does too!!!!! I would use them at Redners! I love ice cream! I love to shop at kroger! They have the best deals around where I live. And my kids would love the ice cream. My husband LOVES ice cream. He could eat the whole pint of it in one sitting! Hi, thanks for the giveaway. I would use the coupons at my local Food Lion. I’m so glad that I found your website. I’ve come across lots of good deals! Thanks for putting so much effort into finding these deals. I would use them at Fred Meyers. WELL i WILL USE THEM AT THE STORE THAT GIVES ME THE BEST DEAL. I HAVE PUBLIX, KROGER, WALGREEN’S, CVS, WALMART AND INGLES…SO I HOPE I GET THEM. THANKS! Hi, I’d like to use the coupons at Target or WalMart. Our grandson Xaviar loves ice cream, as does his Grandma! Klondike ChocoTaco and the new Magnum bars are the best! Thanks! Mmmm … LOVE the Magnum bars! 🙂 I would use these coupons at Walmart or Hy-Vee! Thanks! I will use coupons at Kroger ~ I love Living Rich ~ Thanks!! I would use them @ Kroger so I can get the pts to use toward gas purchase. Even w/ good gas milage, filling up @ the pump hurts! Of course, like the others said, I’d go where the best deal is. I’m really beginning to wish we had a ShopRite. I love the shopping trips I’ve read about. In Pittsburgh we shop at Giant Eagle! And we love ice cream! If I won, I would use the coupons at WalMart, Gerbes (Kroger) or Target-whoever has the best deal! My husband can’t leave without his Breyer’s Vanilla Ice Cream. Will be shopping at Shoprite. I would use ice cream coupons for my son who just turned 6 at shop rite…. I would use them at either Fred Meyer or Winco! I would use my coupons at either Albertsons, Walgreens or WalMart. Love your Ice Cream! Most likely WaWa or Giant. Thanks!!! I would use it at Shop Rite. Thanks! I like to shop at Rite Aid & Giant!!!! I’d probably sue them at Giant Eagle. Shoprite and stop and shop! I will be using my ice cream coupon at Kroger, my favorite place to shop. I would use them at Giant gro store! Most likely will use them at Walmart if I win. Thank you for the opportunity! I would love to use these coupons at Harris Teeter, Lowes Food, or my favorite Target!! Either Gristedes or Key Food supermarkets. 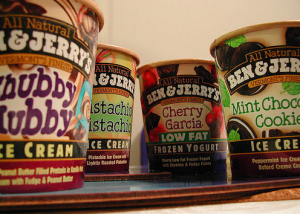 I would shop at Stop and Shop and we love Ben and Jerry’s! Food Basics, Aldi, Rite Aid, CVS, Walgreens, & ShopRite. Thank you for all your help with my shopping trips! I will use the coupons at Shop Rite. Love Ben & Jerry’s – went all the way to Vermont to go to the factory! It was the first stop on our vacation! My family and I love ice cream!!!!!!!!! I would use my coupons at Martins or Walmart. Thank you for helping me to save money. I would use the coupons at Stop & Shop or Pathmark! I would love free ice cream !!! !I shop at stop and shop thanks for all you do !!! I’d use the coupons at Target or Kroger. I’ll use them at whichever store has the best deal on the ice creams, naturally! I would use them at Shoprite and share the products with my family including my parents. My daughter is a huge ice cream fan for being a 3 year old. My husband and her like to sit and share some every night. I will use the coupons at ShopRite. Yummy!! Thanks for the giveaway. I could use some ice cream right now! I would buy my ice cream at Wegmans. I would use the coupons at Publix or Winn-Dixie! Those are my new two favorite stores in the south!!! Mmmm… ice cream. I would buy the ice cream that I likely shouldn’t be eating since I’m still trying to lose those final pounds of baby weight at either A&P or Shoprite. Thank you for your website — love it and share it with everyone, including someone in Customer Service at Home Depot the other day randomly! Ice cream, yum!!! I would purchase at Shaws or Hannafords!! I will be using them at my local PRICE CHOPPER..its been so hot ..I could eat ice cream everyday! I would go to shoprite!!! Thanks. Stop and Shop! I hope I get some magnums, those are GREAT. Thanks for all the help. I love your Shop-rite and CVS matchups! PICK ME PICK ME!! i love Shoprite and Coupons! those two things go together like rice n beans!! PICK ME PICK ME!! I would use ice cream coupons at our local IGA. With todays prices it’s great there are coupons, especially for icecream. I would love to use my FREE coupons at Giant Eagle! I would love these coupons and so would my family! We all love ice cream! I would use them at the store with the best deal! Usually Weis Markets! I would love to win these coupons and use them at Wegmans!! My husband and mykids love any ice cream, so they certainly would not go to waste! Fingers crossed! I’ll be using them … thank you for helping me ,several user to save money;no matter how small it is…. Pathmark would be my store of choice! I will run to Shoprite and use up all my ice cream coupons asap!!! If I won them I’d use them at the commissary here on base or either Acme, CVS. OHHH – Ice cream is a food staple in the summer! My teen-aged sons devour everything as soon as the grocery bags are emptied. We would buy it from Gerrity’s grocery store in Clarks Summit! (Great family store) Our favorite ice creams are chocolate chip cookie dough and chocolate chip mint! I would use my coupons at shoprite, & magnum ice cream is s good! !! If I win, which I hope I do, I will use the coupons at ShopRite! I would use the coupons at Shop Rite …Lov N Ice cream ! I like all the coupons and would love to win one of the giveaways Thanks for this site!! I would use them at Greers, Winn Dixie, and Walmart! I would use my coupons either at Giant Eagle or Kroger. I just sat down on the couch to watch TV after putting my three kids and husband to bed (long pool day). I was just thinking I might run out to get my ice cream so I can veg and watch TV and saw this. I would use the coupons to buy myself a secret stash I can indulge in after long summer days running around after my kids! I have a few stores I would use the coupons at: Pathmark, ShopRite, Acme, Walmart, Walgreens, or while on vacation at Food Lion and other local stores that will accept them. I would love to use my free coupons at Shoprite or Walmart. Love me some ice cream! If I won, I’d go to Shoprite if they were having good deals, the closest one to me is about 30 minutes away, otherwise I’d use them at Acme! I’d be using them at Fry’s! I would use these at Safeway or perhaps Albertson’s when I can double them! You can never have enough ice cream or coupons! Yum, Ice cream!!! I would buy at Shaws or Hannafords!! Awesome prize! I would use mine at Ralph’s! I would definitely use them at ShopRite!! 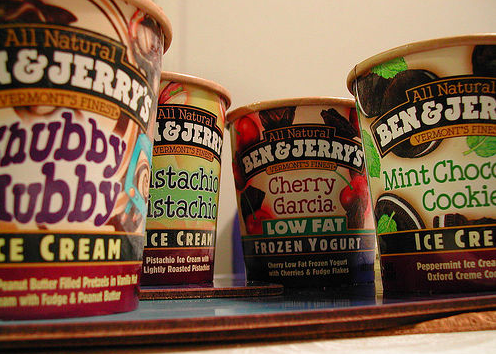 Hmmm… so many amazing flavors… so little time! Shop rite . Love me some ice cream!!! Please enter my name in your drawing. I would use these coupons at the local Walmart in Houston, MO…..
ShopRite is where I would use the coupons. My 3 boys and husband are true ice cream lovers. We have a “24 hour” rule, if the ice you like is in the freezer, it’s safe for 24 hours. After that, it’s fair game for the rest of the family to eat it for you! No freezer burn in our home :)!! Awesome giveaway contest!! Thanks for holding it. I’d use my coupons at either shoprite or pathmark (depending on who is having better sales the week I go shopping). We shop at meijer for all our ice cream needs! We all love ice cream…any kind…Will us the coupon where ever the price is right.. I SCREAM FOR ICE CREAM ~! ! ! ! I would use it at Shop Rite! If I win ;), we will use the coupons at Wal-mart or Kroger! Great time fr icecream coupons!! Yay!! I love these… I would use these at WalMart and/ or Rite Aid!!! I’d just use them where ever I could! My hubby & I love ice cream. Will prob use mine @ Walmart or Publix! I buy all my ice cream at Wal-mart! Sure would love some about now! I will use my coupons at Shoprite. Ya Hoo!!!!! !